Simple solutions in a complex industry. The RampTech Engineering goal is to simplify the process of doing business in the engineering world. We invite you to leverage our 20+ years of experience to win more business, increase your profits, reduce your customer's costs and deliver products that meet the highest standards of Mission & Quality Assurance. 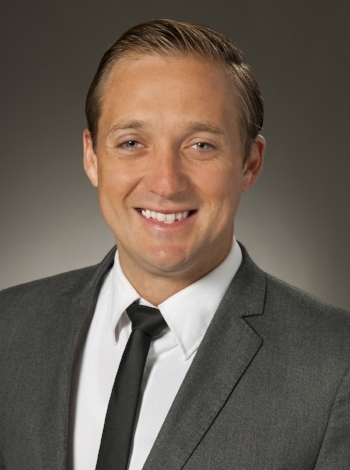 David is a graduate of Brigham Young University with Degrees in Manufacturing Engineering and Business Administration. After more than a decade working with and for industry leaders in Aerospace such as Raytheon, Northrop Grumman, NASA and the U.S. Airforce, He is well versed in some of the most cutting edge defense technology and the nuance of doing business in big Aerospace. When not at work, David is easily found in the garage working on carpentry projects, at the beach surfing or spending time with his wife Kylee and their dog Winston. Travis Rampton received a B.S. degree in Mechanical Engineering from Brigham Young University in 2010 and a Ph.D. in Mechanical Engineering from Brigham Young University. He has spent several years working as a Lead Surface Scientist for one of the countries leading Microchip Manufactures . Previously, he has worked as an Applications Scientist for EDAX developing and teaching Electron Backscatter Diffraction along with EDS and WDS. Dr. Rampton has authored and co-authored 5 scientific publications, 8 conference proceedings, and has given numerous lectures. We pride ourselves on being compliant to the most current and rigorous industry standards; both in performance and quality. Some of our certifications are listed here below. Feel free to inquire on any other industry certification or training at any time.